Just when you thought America had cornered the market when it came to eating ALL the carbs, Japanese burger chain Loteria one-ups the red-white-‘n-blue with this tri-deck noodle monster. 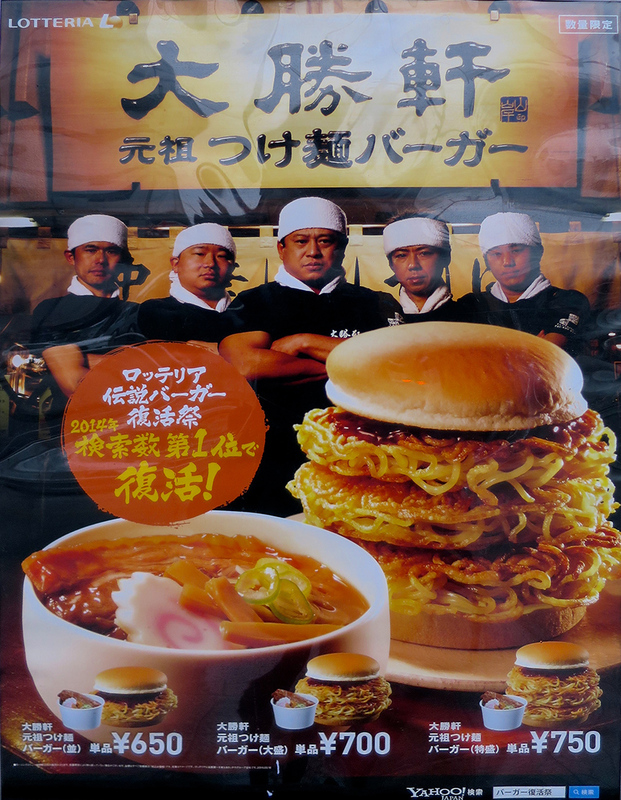 Yes, it’s that carbo-load favorite, noodles on a bun. Times three. Enjoy. I know, right? Usually in Japan they’re hyper-careful about how things are served, so you don’t get your little pinkies dirty, but these…!